Looking for movie tickets? Enter your location to see which movie theaters are playing The Bodyguard: 20th Anniversary Event near you. 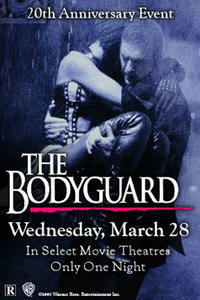 NCM Fathom and Warner Bros. present The Bodyguard – 20th Anniversary Event on Wednesday, March 28th at 7:30PM.